We often hear this discussion and from time time are asked why our menu isn’t mainly filled with all Australian Sustainable Seafood? There is a quick answer, however to understand this problem we need to go further. To open up this discussion we need to understand our seafood trade and that we as Australians love seafood. We eat more and more of it each year, which is great as fish are a healthy source of protein and essential fatty acids and are recommended as an important part of a good diet (Heart Foundation 2008; NHRMC 2013). We have the world’s third largest Exclusive Economic Zone, which generally extends 200 nautical miles out from the Australian coast. The fisheries resources in these waters are reserved almost exclusively for our fishing fleets. However, our waters are not very productive by world standards. Unlike other countries, the Australian continent does not have large offshore upwellings or sufficient runoff from the landmass to provide nutrients that naturally support larger fish stocks (Hobday et al. 2006). Australia’s seafood comes from a combination of wild capture and aquaculture sources. Although the levels of Australian aquaculture and wild capture production have changed over the last 20 years, the total volume of seafood production (edible and non-edible) has remained relatively stable, ranging between 280 000 and 220 000 tonnes per annum. Australia’s fisheries are managed sustainably and for optimum yield, but they provide limited opportunities for increasing catch—unless new fisheries are developed for species that have limited markets today or are currently uneconomical to fish. Looking forward, it is clear that there are limits to the growth of Australia’s wild capture fisheries. Aquaculture output in Australia continues to increase but faces strong competition from rapidly expanding Asian operations. Much of Australia’s seafood is exported as high-value premium product. It has been estimated that around 70 per cent of the edible seafood we consume (by weight) is imported from Asia, New Zealand and elsewhere (Ruello 2011). Australia is not unusual in this regard. Most advanced economies, even those with substantial fishing traditions, are net importers of seafood. The combination of domestic production and imports provides Australian consumers with access to high-quality fresh Australian product. Over the last decade, Australians consumption of seafood has increased with an average of 15 kilograms (process weight) per person in 2012-13 compared to 13 kilograms per person during 2000-2001. (Stephan and Hobsbawn 2014) In 2012-13 Australia exported around 35 000 tonnes of edible seafood products and imported around 228 000 tonnes of mostly processed seafood products. While most of the seafood products are for human consumption a sizeable proportion, around 39 000 tonnes, are used for things like pet food, fish meal and fish oil used for livestock and agriculture feed. Australia’s consumer demand exceeds the supply of current domestic production with imports accounting for 66 percent of domestic consumption. Historically, Australia has been a net importer of seafood and fishery products in volume but has exported more in the terms of value. Australia exports are predominantly high value products such as rock lobster, abalone and premium tuna. Imports on the other hand consist mainly of frozen fish fillets and canned fish. In the early 2000s, the gap between the value of imports and exports closed and in 2006–07 the value of imported fisheries products exceeded that of exports for the first time. Developed countries such as the United Kingdom, United States and Japan are all net importers of seafood products, together taking over half of all global imports. (FAO 2014). Seafood consumption is considerably higher in the developed world as is the costs of production and environmental standards which constrains aquaculture production. Australian product unlike other developed countries is sold to export markets rather than used to supply domestic demand. 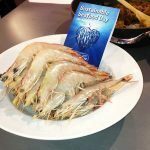 Australian seafood exports is around 49 per cent of the value of production and while these products are available to the Australian market, most consumers are unwilling to pay the high price. As long as the export market continues to fetch a premium price, producers will continue to supply the export market with large amounts of Australian seafood production. While we have the third largest fishing zone in the world, covering an area larger than the Australian mainland, Australian fisheries do not harvest as much fish as some other countries. In many cases other countries have more productive fishing grounds which enable larger volumes to be harvested. Some overseas producers also have lower environmental standards compared to Australia which allows for higher yields, at least in the short term. However, if fishing is not done in a sustainable way ecosystems can become degraded, catch compositions can change, catches of many stocks will eventually decline, species can become threatened and the benefits derived from fishing can decrease. Increasing production in Australian wild capture fisheries is limited by strict management arrangements put in place to maintain fish stocks at sustainable levels. Production volumes in wild-capture fisheries have remained steady over the last five years and production is not predicted to increase considerably, although there is some scope for growth in some fisheries if the costs of fishing fall or fish prices increase. Australian aquaculture production is expanding in volume terms. This expansion is mostly driven by a significant increase in salmon production. While Mind Body Green has their solution to not eating Farmed fish, we at Fish & Co, and all our sustainable partners, would like to believe its not to late to save and work with wild caught fish to ensure we all prosper now and into the future. The first thing we need to do here in Australia is to be educated as consumers with excellent programs like “Whats the Catch?” and then to ensure we effect policy change at the highest levels which you can do right now with the “Label My Fish” campaign. We believe the only way forward is for you to know what seafood you are eating. 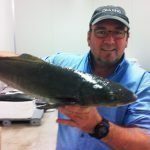 As you can see there are many reasons why we are unable at present to increase the number of Sustainable Australian Species served here at Fish & Co. Price is the greatest barrier even though our customers love the sustainable chain of custody, being able to actively engage in the debate and enjoy the value and flavour that Sustainable Seafood offers when done well. At Fish & Co we are constantly looking at ways to raise this value by exploring new species as they come to market, working on new recipes to strike the best possible balance. Australia’s seafood comes from wild capture and aquaculture sources. The amount of seafood (edible and non-edible) produced in Australia has remained relatively stable over the last 20 or so years at around 230 000 tonnes per year. 13 kilograms in 2000-01 to 15 kilograms in 2012-13 (Stephan and Hobsbawn 2014). It is estimated that Australians consumed around 345 000 tonnes of edible seafood products in 2012-13 (Stephan and Hobsbawn 2014). By volume, imported seafood accounted for around 66 per cent of this consumption. The value of Australian fisheries and aquaculture production is around $2.4 billion each year. Australia exports around $1.2 billion of seafood products annually. In 2012-13, the Australian export value of fisheries products (edible and non-edible) declined by 4 per cent ($52 million) to $1.18 billion in 2012-13. The total value of Australian imports of fisheries products (edible and non-edible) increased by 3 per cent ($42 million) to $1.65 billion in 2012-13. Australia has the world’s third largest Exclusive Economic Zone. However, the low productivity of our marine waters limits wild capture fisheries production. In developed countries, demand for seafood is often greater than domestic production can support. The United States, Japan and European Union, including the United Kingdom, are all net importers of seafood products. Australia differs from many other developed countries in that a significant proportion of Australian product, which could otherwise supply the domestic market, is sold to export markets due to price. These products are generally still available in Australia, but Australian consumers are often unwilling to pay as high a price as export markets for the volumes produced. Australia exports high value products such as rock lobster, abalone, and tuna. Australia exports little of lower value staples such as white fish and canned fin fish products. Over the last six years aquaculture has expanded greatly in East Asia, particularly in China, Vietnam and Indonesia. Australia’s high dollar and labour costs means that farmed seafood can be imported at very low prices. Australian aquaculture production is growing, particularly in terms of volume, although it faces strong competition from cheap imports, particularly from Asia. Australia’s seafood imports largely consist of lower-value products such as frozen fillets, frozen prawns and canned fish. Imported products, predominantly from Thailand, New Zealand, Vietnam and China, meet Australian consumers’ demand for low-cost seafood products. The canned fish consumed in Australia generally consists of low-value tuna products, such as skipjack tuna. Almost all canned tuna sold in Australia comes from Thailand, which produces around half of the canned tuna traded in the world. The low production and labour costs of canning in South East Asian countries makes it difficult for Australia to compete. These countries also have geographical advantages over Australia, being closer to tuna stocks and having preferred access to major markets. No significant canning of tuna has taken place in Australia since May 2010. In Australia, frozen and thawed basa (catfish) fillets from farms in Vietnam are now the most commonly and widely eaten import. The low cost, white boneless flesh and neutral flavour of basa makes it attractive to a large cross section of the Australian community. We have many articles on these topics. Its important for all of us to understand what is happening in our oceans in order to make the best informed decisions to preserve this incredible resource for generations to come. If you would like to know more or have anything you would like to ad to the conversation please leave a comment below.